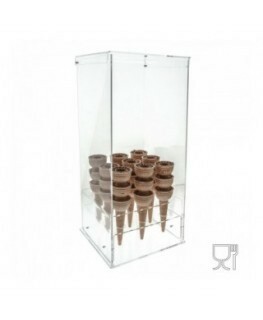 Clear Acrylic multipurpose display case with: 9-compartment ice-cream cone holder, 4-column cup holder, a teaspoon tray, a napkin tray, a cone tray. 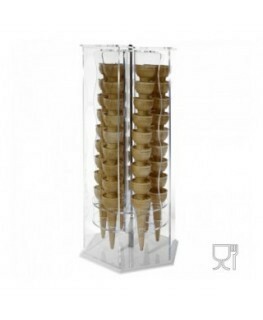 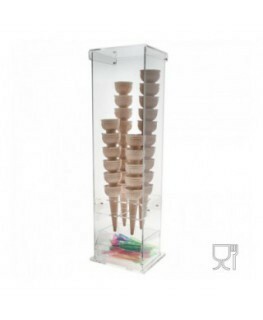 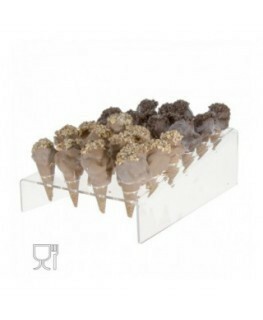 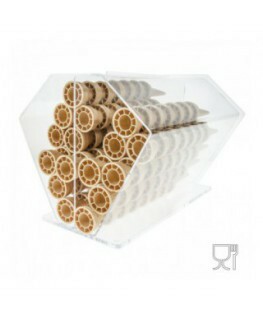 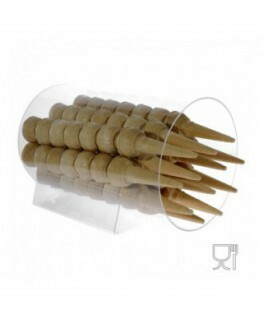 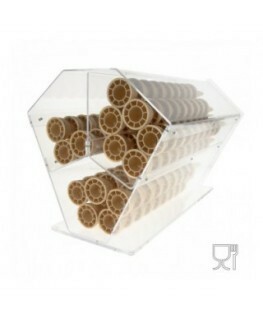 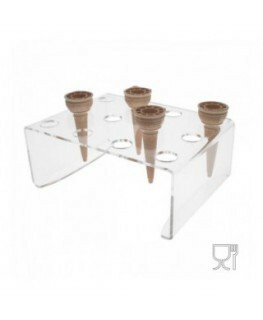 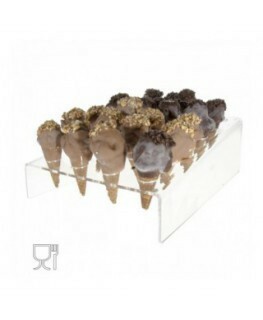 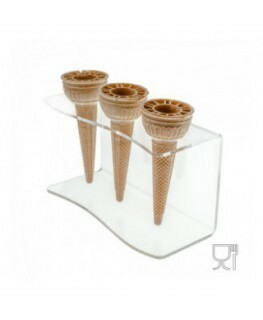 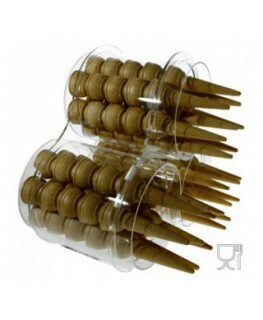 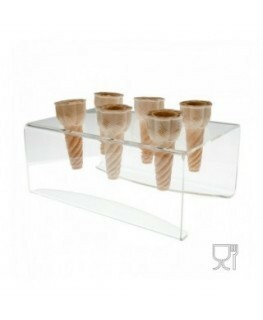 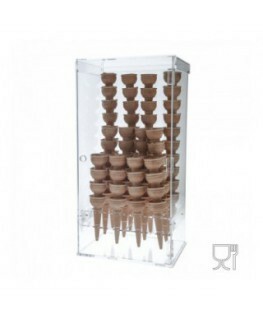 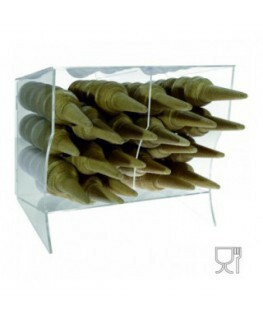 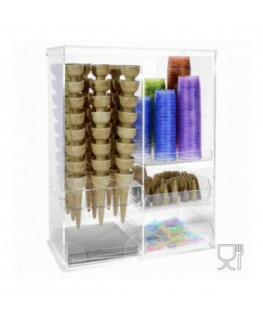 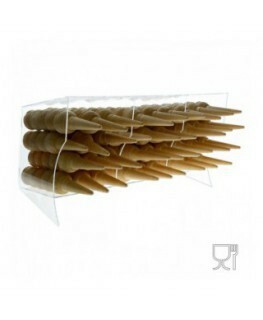 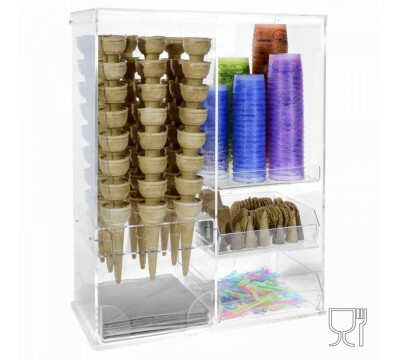 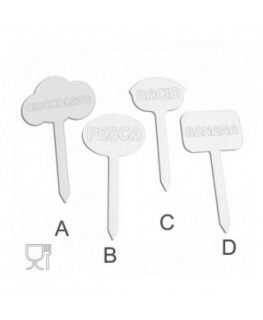 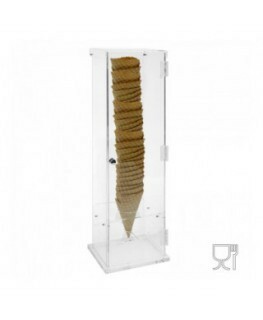 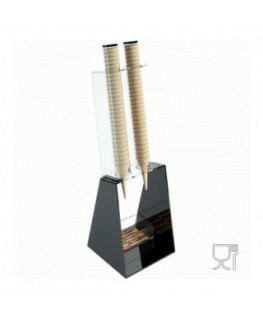 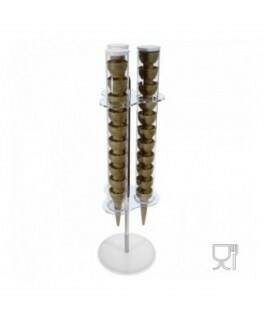 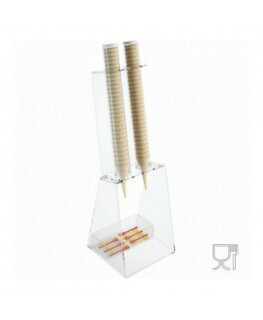 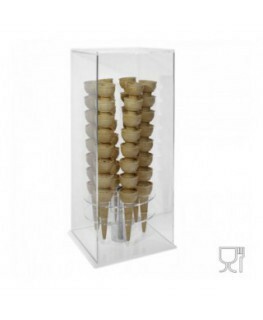 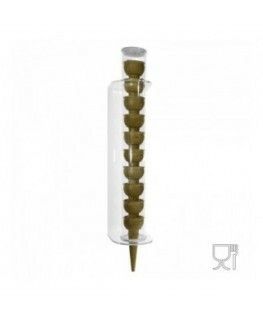 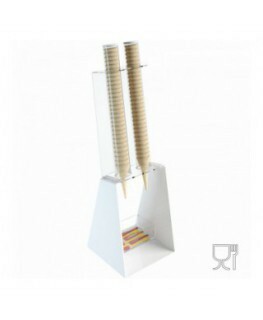 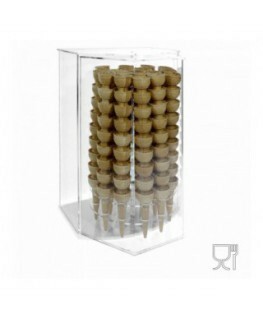 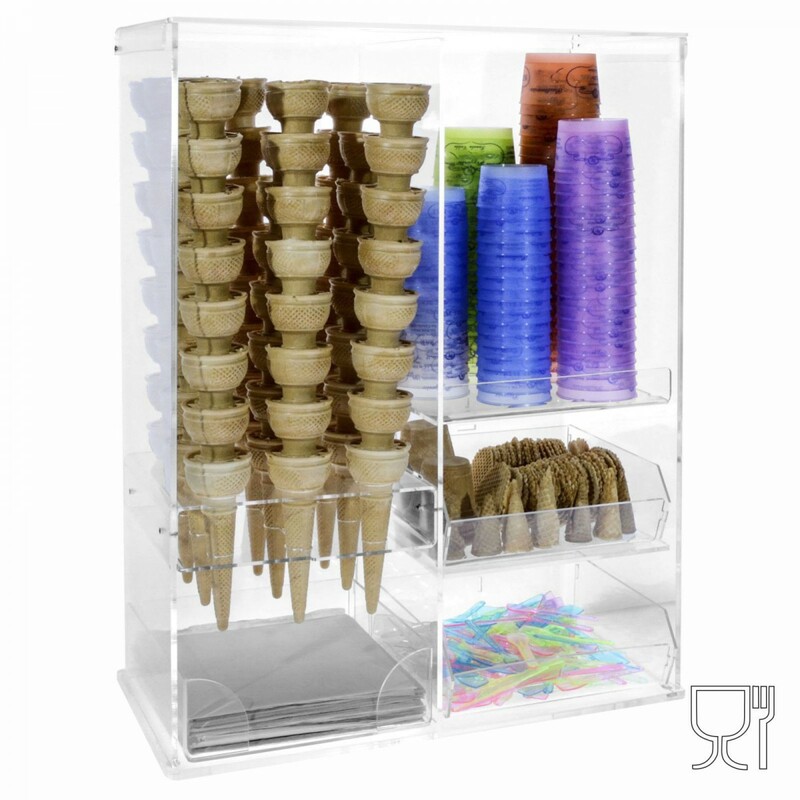 This ice-cream cone holder display can hold up to 90 ice cream cones. 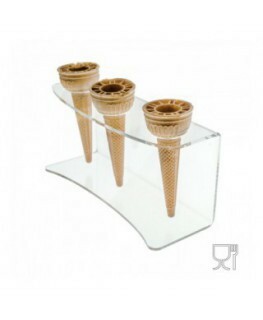 It has a lip on the top and on request; we can accomplish 2 front flaps.